← A Winter Park Farmer’s Market Wedding! No, really. Vintage or Rustic? How About Both! As a wedding designer, it is my job to listen to her dreams, to take them to heart, and ultimately to usher them forth into reality when her feet hit the aisle. Most brides have a fairly clear idea of the big picture including such elements as the color palette and the overall vibe of the wedding. But, in this age of Pinspiration overload, brides feel as though their wedding needs to fit neatly inside a box. More specifically, a vintage box or a rustic box. In reality, most of the weddings that I design celebrate the best of both of these worlds. After that initial consult, I prefer to throw the vintage and rustic buzzwords out the window and zero in on precisely which elements of both will combine to make that bride’s day even more perfect than she had hoped. The terms vintage and rustic are purely subjective and vulnerable to many interpretations. They also get along. Beautifully. Like bff beautifully. To prove it, check out my dining room. As I have attested to many times in the past, my background in interior design serves me very well when designing a wedding. 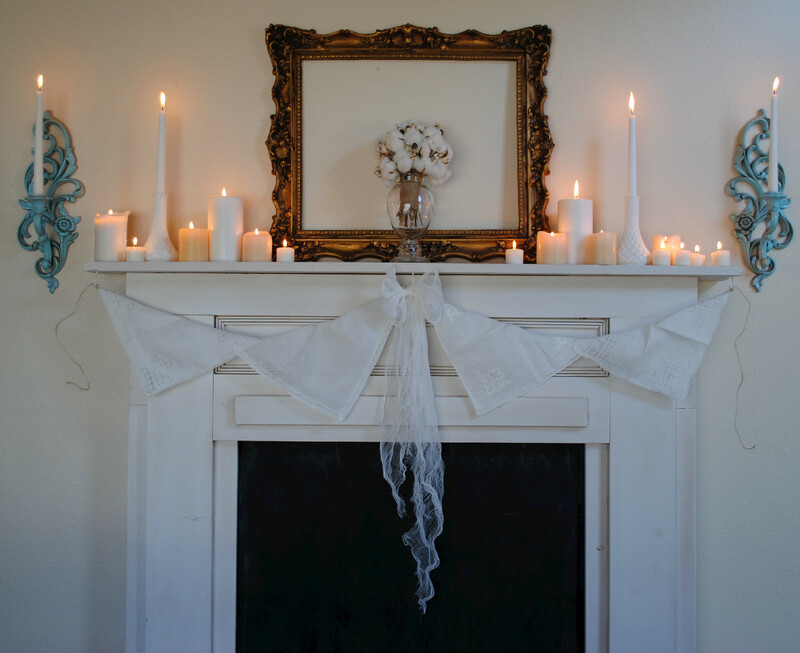 I apply all of the same fundamentals when styling a wedding as I do appointing a room. 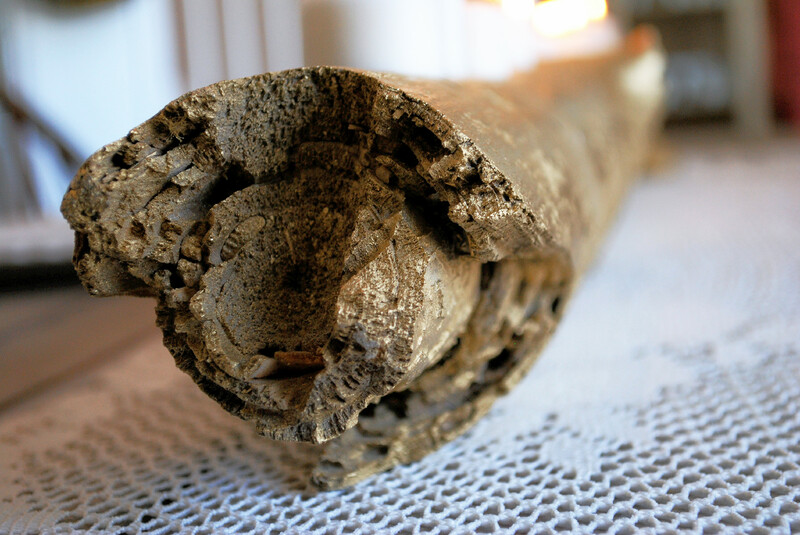 Here, I salvaged a log from my neighbor’s ill-fated tree. Yes, seriously. 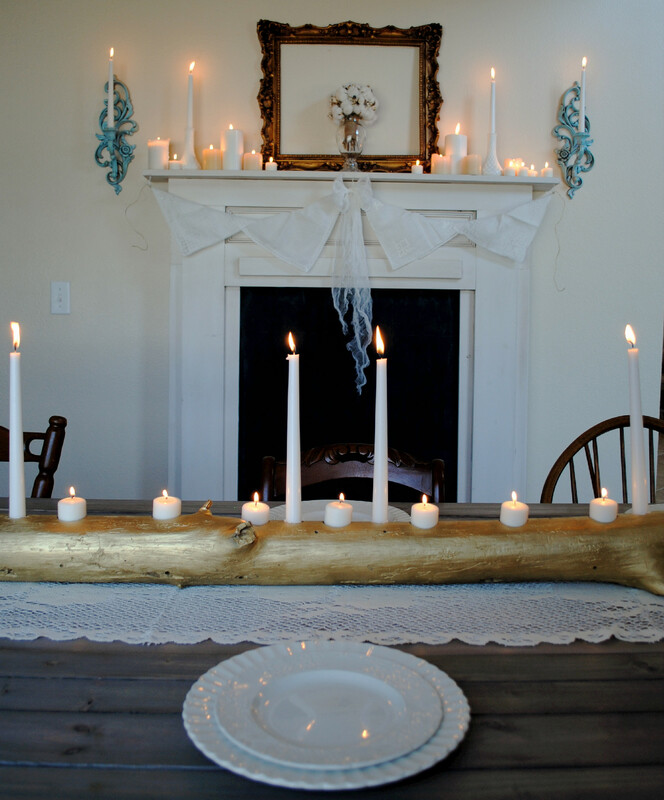 I bored several holes into the top, painted it gold, added some candles and – bam – super cool centerpiece! 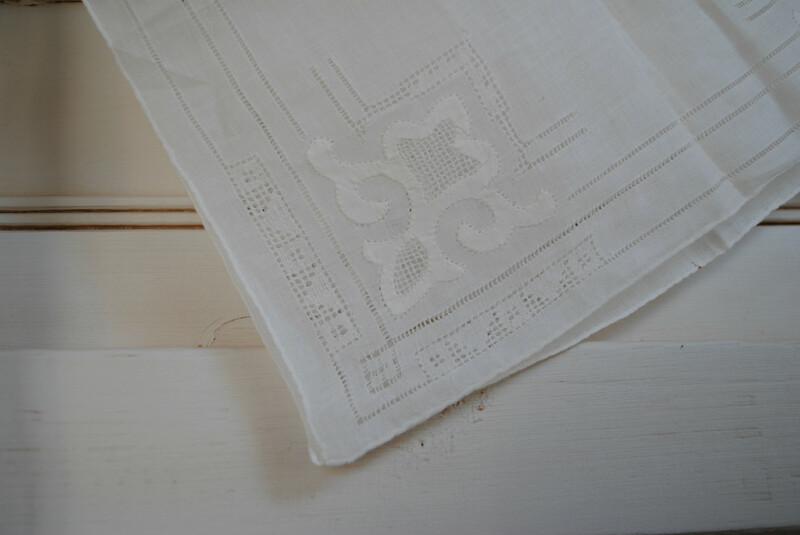 Now, clearly, this would be considered a rustic element, but add a little gilding and it is the perfect compliment to the vintage lace table runner that it rests upon. 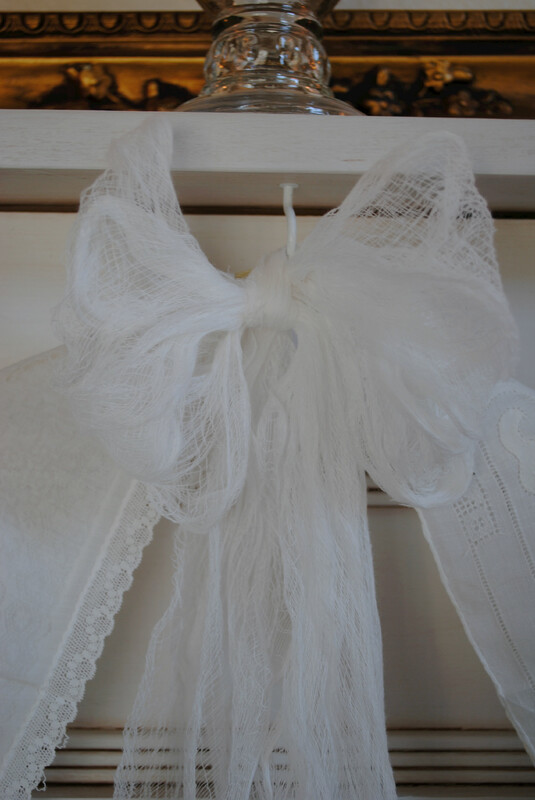 The antique handkerchief garland (stereotypically vintage) hangs from a roughly tethered strand of twine (traditionally rustic). 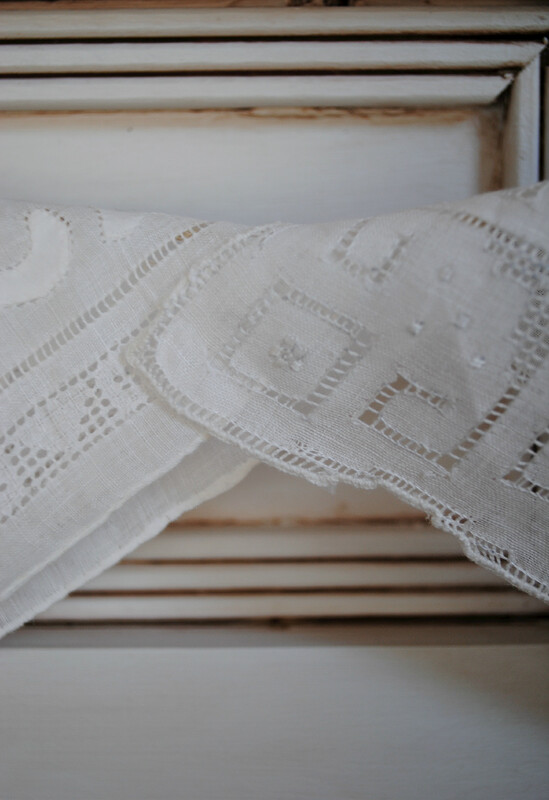 A cheesecloth bow in the middle seemingly forces both elements to hold hands. 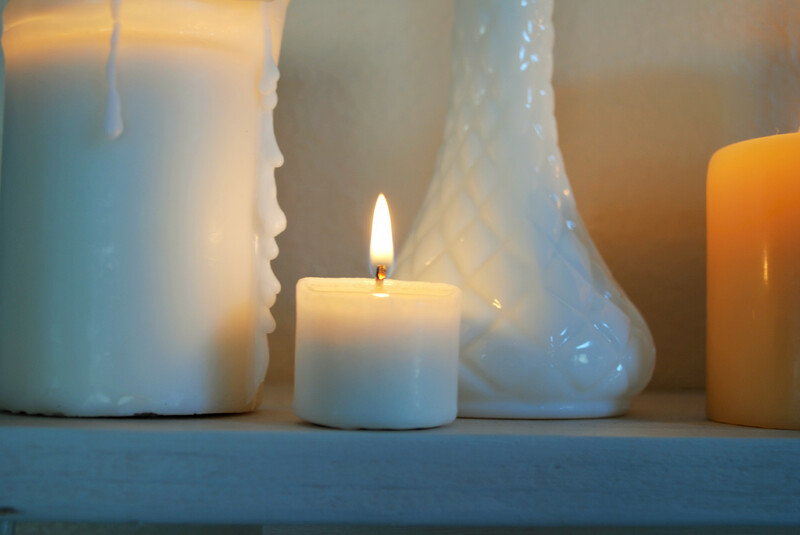 Antique milk glass sits beside a simple votive candle. 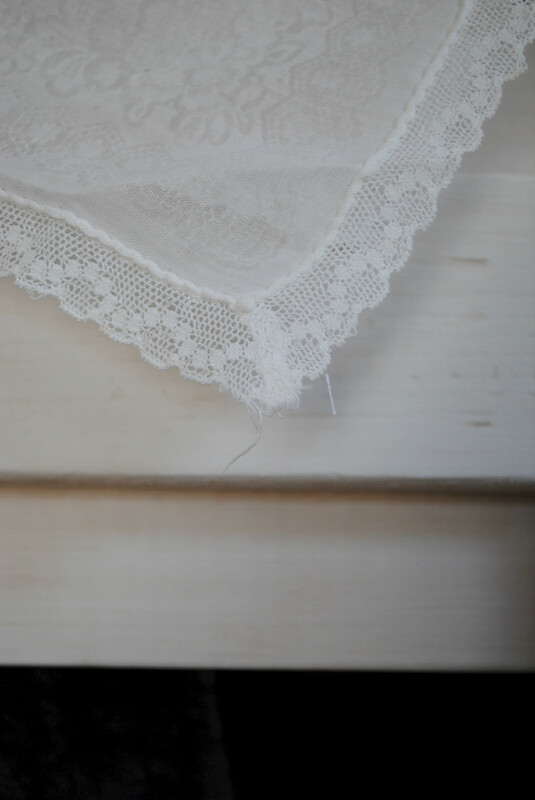 Both of these lovelies are perfect for either a vintage or a rustic wedding. 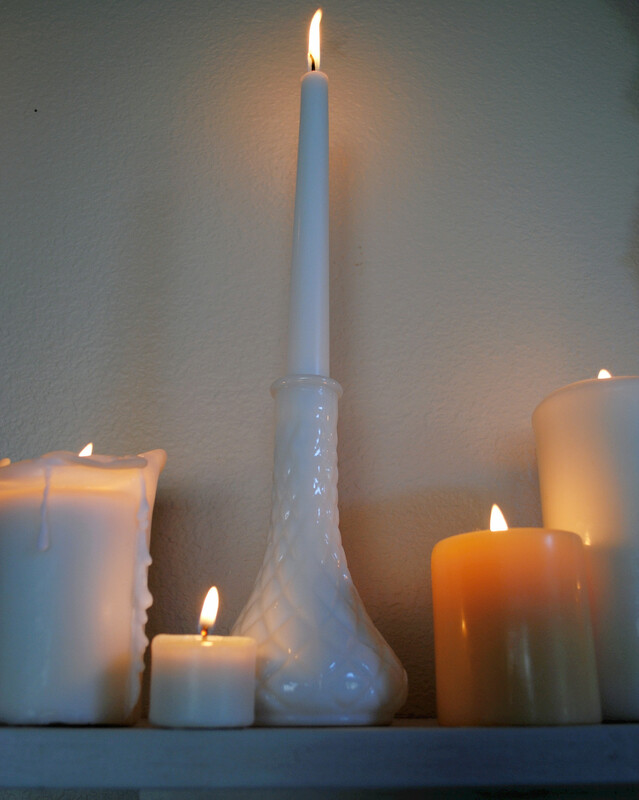 As a bonus, in case you have not tried this already and you need to add a bit of height to your table or mantelscape, a milk glass bud vase makes a pretty fantastic taper candle holder. At the end of the day, you really can have it all. Try not to focus on those buzzwords and follow your instincts. Find the right designer to pull all of those elements together in a cohesive manner. You know what makes your heart sing. Feel free to mix it up and allow the worlds to collide. Most often, those are the most visually appealing weddings of all.